This is such a great standard tune, written in 1930 by Jimmy McHugh and Dorothy Fields. At least, that’s what history tells us. Rumor has it that Fats Waller may have penned the tune and sold the rights, but who knows? At any rate, we know that it’s a great standard to blow over. This tune is done in many keys. I’ve listened to many recordings, and I’ve heard the tune in C, Bb (these being the most common), Ab, G, Eb, and even D. Instrumentalists seem to gravitate toward the key of C, so that’s what I’ve put on the pdf documents. 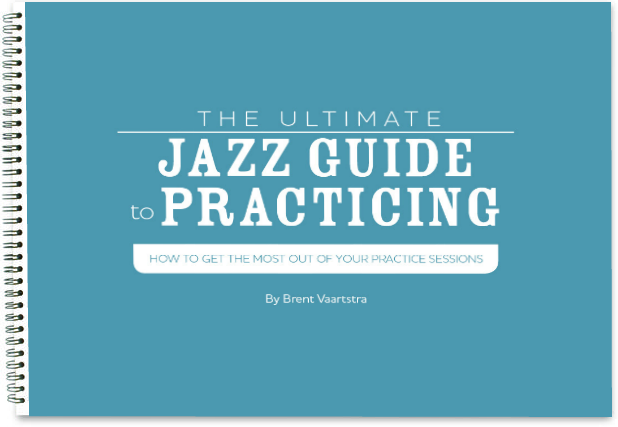 Brent Vaartstra, that is. There’s a name we’ll hear in the jazz guitar world in a few short years! Thank you Brent V. for finding the “vocalese” of Roberta Gambarini, contacting me, and telling me about it! What a fantastic vocalese.